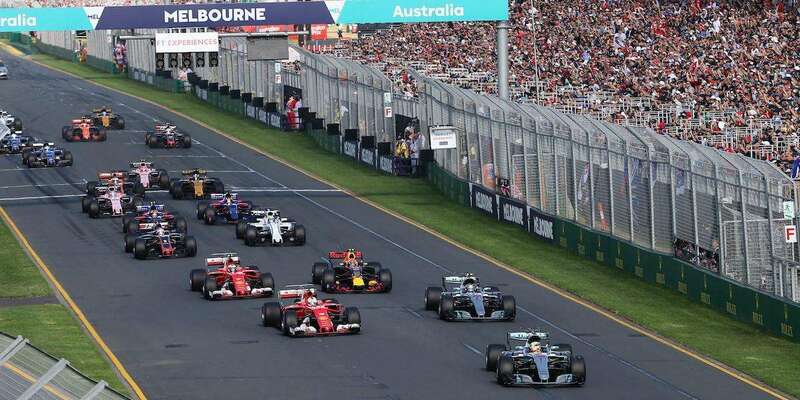 From budget to luxury, we’ve chosen the best F1-friendly accommodation in Melbourne with easy access to Albert Park for the 2019 Australian Grand Prix on March 14-17. Support the future development of F1Destinations by reserving your accommodation through the Booking.com links on this page. You won’t pay more and we receive a small commission. We also recommend Official Ticket Packages from F1 Experiences. Melbourne is a large international city with an excellent supply of accommodation to suit all budgets. Unfortunately, most hotels impose an ‘F1 tax’ on Grand Prix weekend and prices go up across the board. We have also note an increase in prices during the past two years. On the plus side, the Australian dollar has fallen against international currencies in this same period, making prices more attractive for foreign visitors. Melbourne has also embraced Airbnb and there is a wide selection of rooms and apartments for rent direct from the owners for Grand Prix weekend. Prices are high, but the personal touch offered by owners can make your experience that much better than staying in a hotel. For the best deals and highest-rated accommodation, we recommend booking well in advance. Official Ticket Packages from F1 Experiences package feature select grandstands or access to trackside hospitality in the Champions Club, plus exclusive benefits such as a Drive the Track Tour and driver meet-and-greets. You can also add accommodation at Crowne Plaza Hotel, the choice of many F1 teams, or Crown Metropol in the Southbank precinct. Melbourne has a wide selection of backpacker hostels, most of which are located in the center or in St Kilda, providing easy access to Albert Park. A bed in a dormitory should cost around $40-60 per night on Grand Prix weekend. If you want more privacy, you’ll pay around $80 per night for a private room in a hostel with shared bathroom. Budget hotels can also be found near the city with a private bathroom from around $150 per night. A popular budget hostel in the center with a cool rooftop terrace. A single bed in a dormitory room costs approx. $50 per night on Grand Prix weekend. A modern hostel and budget hotel located at Southbank, close to the entertainment precinct and with easy track access. A bunk bed in a dorm room costs $60-70 AUD per night. Located in the western part of the city center, close to Docklands and 5 minutes from Southern Cross train station. Heated indoor swimming pool. Double rooms from $145 per night. 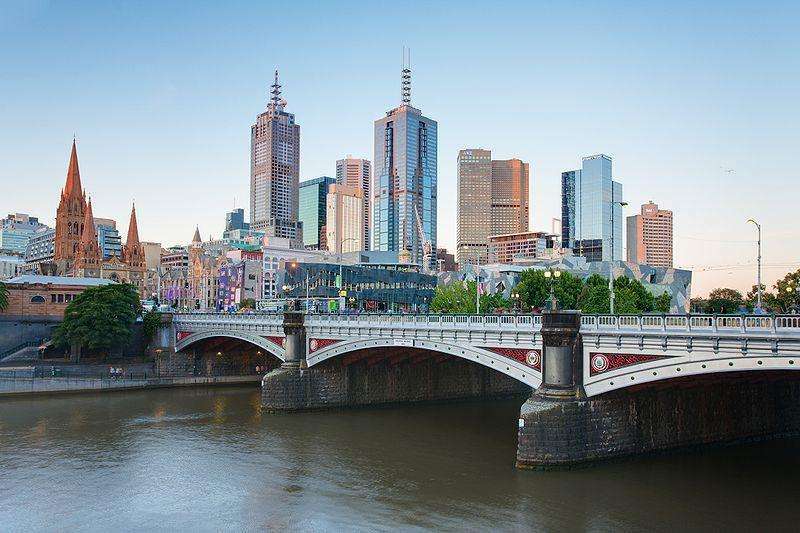 Within the mid-range bracket, which we have classified as between $150-300 per night for a twin/double room, there are many good options in Melbourne. The city centre is home to plenty of decent mid-range hotels. The circuit is easily accessible and there’s a wealth of shopping, restaurants and nightlife to keep you busy after a day at the track. St Kilda also has a good selection of mid-range hotels and serviced apartments, as does the South Yarra area closer to the track. Well-rated hotel within the CBD, walking distance from major sights and trams to Albert Park. Doubles from just under $200 per night on GP weekend. Right in the heart of the city center with excellent access to shopping, restaurants and nightlife. Plenty of trams nearby to get you to the circuit. Doubles from $210 per night. Great location in South Yarra, close to both the shopping, restaurants and nightlife of Chapel Street and within walking distance of the circuit. Spacious 40m2 studios from $250 per night. Melbourne has no shortage of luxury hotels, with most premium international chains represented in the city, including Marriott, Sofitel, Hyatt and Radisson. Five star hotels rooms are generally priced between $400-800 per night on race weekend. 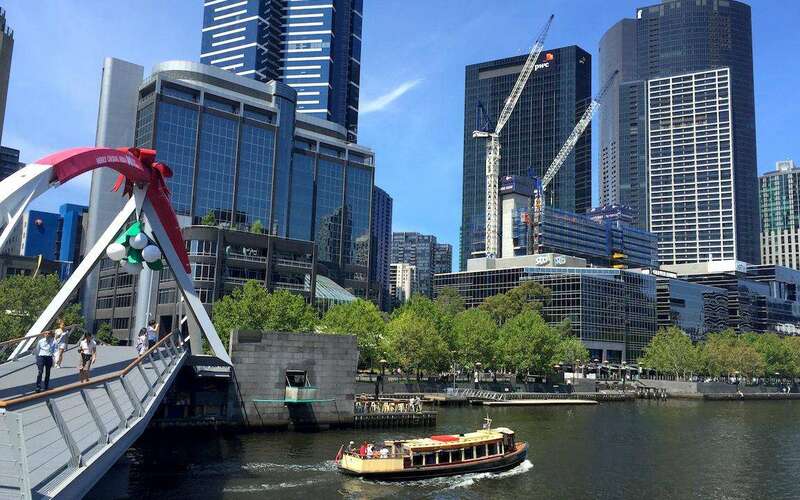 The majority of Melbourne’s 5-star hotels are located in the city center or nearby, making them convenient for both access to the circuit and the best shopping, restaurants and nightlife the city has to offer. Modern, luxury aparthotel just across the road from the Albert Park circuit! Studios with balcony, kitchenette and aircon from $440 per night. Larger apartments with 1-3 bedrooms also available. A trusted international brand with an excellent city centre location. Rooms are very spacious and the hotel features a swimming pool, sauna and fitness centre. Doubles from $470 per night. In the Southbank precinct next to the Yarra River, this luxury hotel is part of the Crown Entertainment complex which includes a vast casino, cinemas, theaters and bars. Double rooms from $1200 per night. Where do you recommend staying in Melbourne? Leave a comment below! Formula 1 returns for the start of a highly-anticipated new season in Melbourne. Here’s everything you need to know ahead of the season-opening Australian Grand Prix weekend! How much will a weekend at the Australian Grand Prix in Melbourne set you back? Read our budget planner to find out! 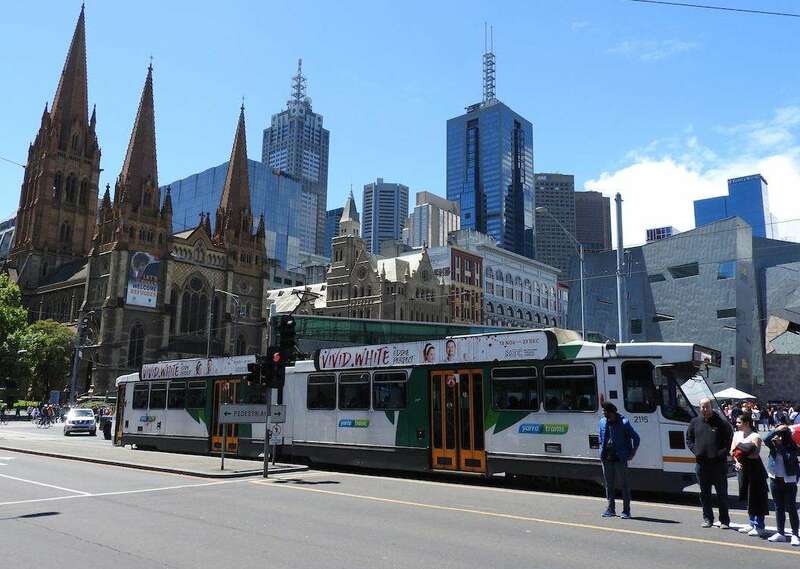 Advice on getting around in Melbourne for the 2019 Australian Grand Prix on March 14-17, including the best ways to get to the Melbourne Grand Prix Circuit in Albert Park. 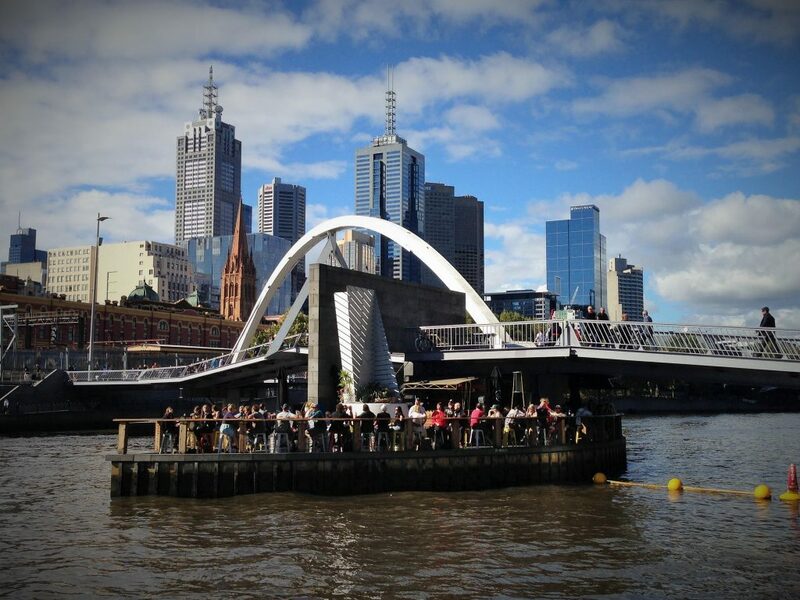 The best off-track activities in Melbourne on Australian Grand Prix weekend. What to see and where to eat, drink, shop and go out. The next race takes place on March 14-17, 2019. Your guide to buying tickets for the Australian Grand Prix at Albert Park. Advice on General Admission, Grandstands and VIP tickets. Useful travel information to help you start planning your trip to the Australian Grand Prix in Melbourne. The next race takes place on March 14-17, 2019. Background information and history of the Australian Grand Prix at the Albert Park street circuit in Melbourne. The season-opening race is on March 14-17, 2019. From budget to luxury, we’ve chosen the best F1-friendly accommodation in Melbourne with easy access to Albert Park for the Australian Grand Prix. What’s on in Melbourne on 2018 Australian Grand Prix weekend? Melbourne is a vibrant city of sports, entertainment and festivals. Here’s some ideas to keep you busy away from the track on 2018 Australian Grand Prix weekend, March 22-25. I have stayed at the Art Series “The Blackman” for the past 3 years and found it a very comfortable hotel. A bit pricey around $250 to $300 a night for 2 adults & a child. The hotel has paid car parking but after lunch Saturday & all day Sunday the parking is free on the street, but beware the local council’s employee of the month will pounce immediately after 8:30 am Monday morning if you are still there!